Miss Mundo de Puerto Rico 2016 Contestants !!! Miss Mundo de Puerto Rico 2016 will take place on 18th March 2016. 26 beauties from across Puerto Rico have been shortlisted as official contestants of the pageant.Keysi Vargas,Miss World Puerto Rico 2015 will crown her successor at the end of the event. Miss World 2015, Mireia laguna of Spain will judge the fast track events of the pageant. She arrived in Puerto Rico last night from her short trip to Iowa where she raised funds for Variety International.The 26 contestants will compete in various fast tracks such as Top Model, Beauty with a Purpose, Sports,Talent & Beach Fashion. 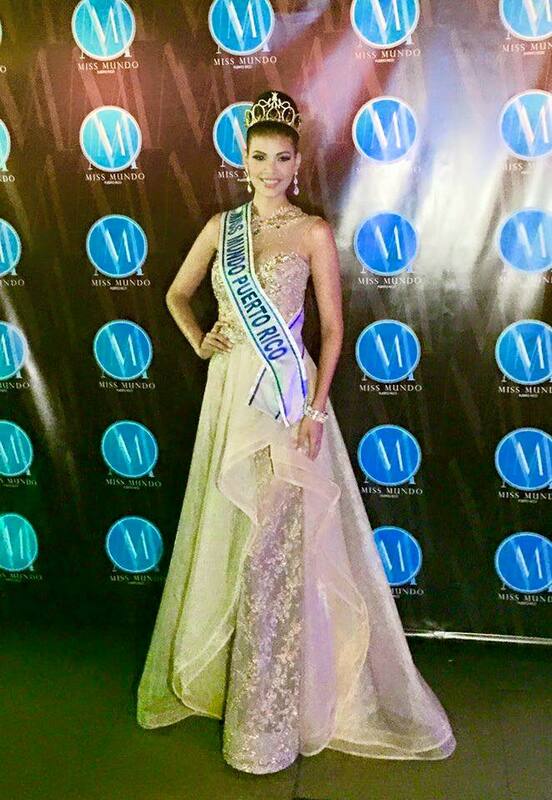 Winner of Miss Mundo de Puerto Rico 2016 will represent Puerto Rico at Miss World 2016 pageant later this year. Where as the first runner-up might go to Miss Earth 2016 pageant in the Philippines. Puerto Rico has won one Miss World crown courtesy of Wilnelia Merced Cruz who bagged the title of Miss World in 1975.Ingrid Rivera, Miss Puerto Rico 2005 & Amanda Perez Miss Puerto Rico 2011 bagged the second runner-up crown for Puerto Rico. Apart from these 3 ladies Puerto Rico has placed eleven times at the Miss World pageant (1976, 1978, 1980, 1985, 2002, 2003, 2006, 2007, 2008, 2010 & 2012). Wilnelia’s mother Delia Cruz is the franchise holder since 1996 for Miss World preliminaries in Puerto Rico. Janelee Chaparro Miss Puerto Rico 2012 went on to win the first edition of Miss Grand International in the year 2013 in Bangkok,Thailand.